You’ve seen its awe-inspiring look. You’ve heard its heart-revving sound. Now the roaring beauty of Luna just got bolder and better, with the addition of a dedicated subwoofer. 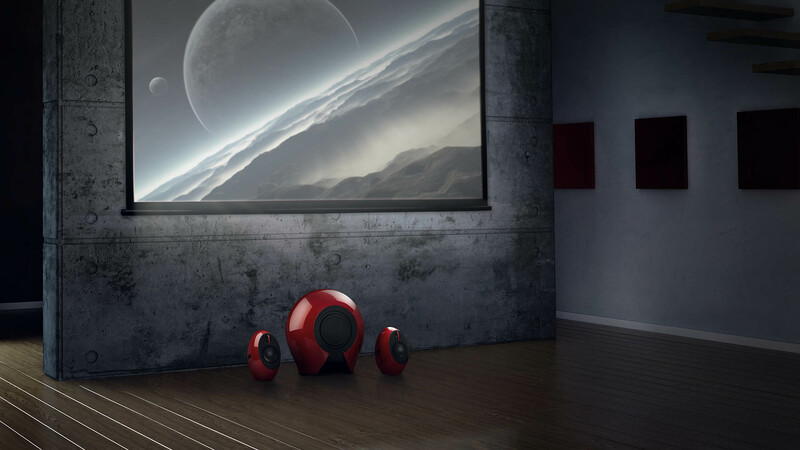 Meet the Luna E 2.1 sound system, named a 2015 CES Innovation Awards Honoree. The centerpiece of this powerful system is the subwoofer, connected wirelessly via the enhanced Bluetooth 4.0 platform. The result is more authentic, honest sound with less loss. Entries are evaluated on their engineering, aesthetic and design qualities, intended use/function and user value, how the design and innovation of the product directly compares to other products in the marketplace and unique/novel features. Products chosen as CES Innovation Honorees reflect innovative design and engineering in some of the most cutting edge tech products and services coming to market. Honorees will also be displayed at CES Unveiled New York, which features dozens of exhibitors and networking opportunities, and runs 4:30-7:30 PM, November 11 at the Metropolitan Pavilion, New York.